What they sell on the domestic German markets as “wild asparagus” botanically is no asparagus. 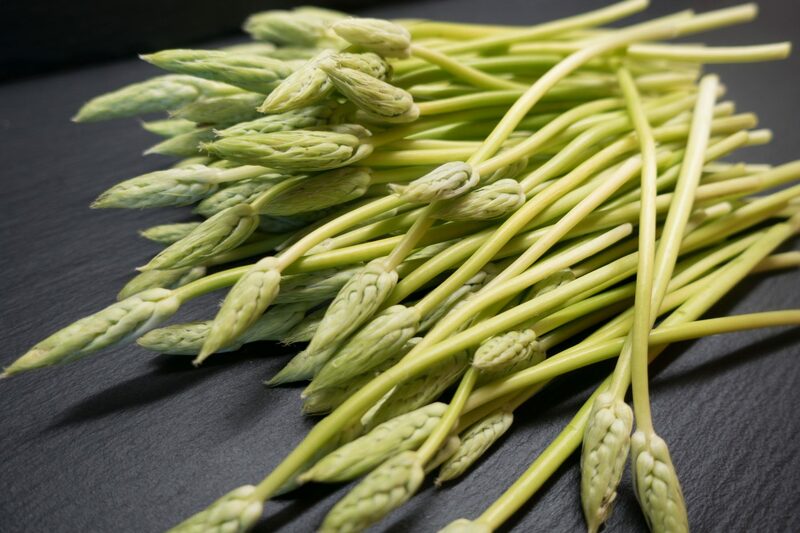 Of course wild asparagus exists, and I know it from my time in northern Spain, where we collected the wild asparagus in nature. Here in Germany, however, the flower sprouts of the Pyrenean Star of Bethlehem are offered under this term, mostly grown in France. And it is really delicious. Raw or steamed, it tastes very intense. For a wild herb salad a “snappy” enrichment.